Female-led superhero films have always fought an uphill battle. Supergirl, Catwoman and Elektra were critical and financial disasters. For a long time, most studios didn’t have faith that these movies could be successful with a mainstream audience. It wasn’t until 2017’s, Wonder Woman, that we were offered a glimmer of hope that these movies not only could work but could exceed expectations. 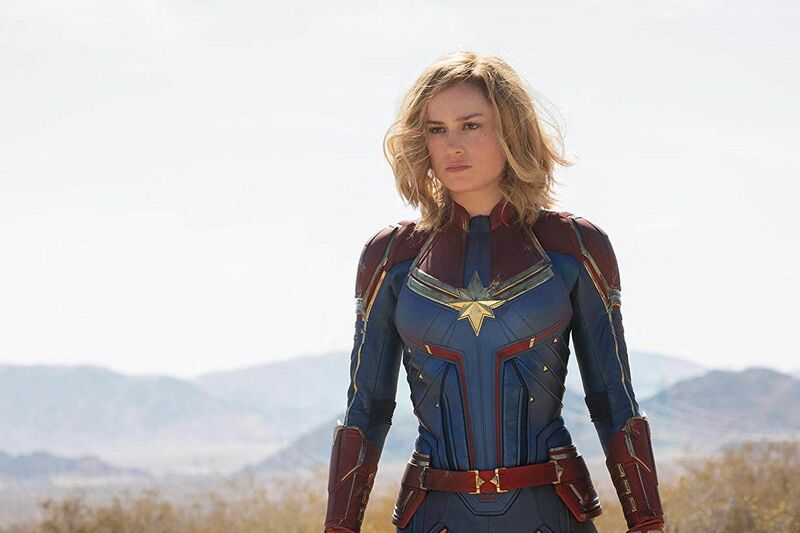 However, controversy first struck this film when Marvel CEO Kevin Feige announced that the character of Captain Marvel would be ”the most powerful character in the Marvel Cinematic Universe.” Certain factions of the fandom were deeply upset by this. Later when the film’s lead actress, Brie Larson, stated that she wanted more “inclusive” press screenings (along with other political statements made through her social media), the backlash among this misogynistic faction further increased. Now that a critical consensus has been reached, I feel confident in saying that these detractors will probably lose their collective minds over the fact that this movie is nothing like they attempted to portray it. Directed by Anna Boden and Ryan Fleck, Captain Marvel possesses all of the standard tonal elements, plot themes and bright color palettes we’ve come to know in the current oeuvre of comic book blockbusters, particularly from Marvel Studios. And in this regard, the film certainly delivers. The story takes place between 1989 and 1995, with its protagonist being the strong-willed and sardonic air-force pilot named Carol Danvers (portrayed by Oscar-winning actress, Brie Larson). Carol and her mentor Dr. Wendy Lawson (played by Annette Benning) accidentally crash the plane they were piloting during one of their missions, resulting in Lawson’s death and the loss of Carol’s memories. She is discovered and subsequently adopted by an Alien race known as The Kree. They imbue Carol with their physiology, granting her superhuman abilities and train her to be a Starforce soldier. Carol begins displaying numerous other mysterious and unique powers that the Kree are attempting to suppress. The Kree have also been entrenched in a war with another alien race of shapeshifters known as The Skrulls. After a mission to recover a fellow operative goes awry, Carol finds herself crash-landing back on earth where she encounters a young S.H.I.E.L.D. 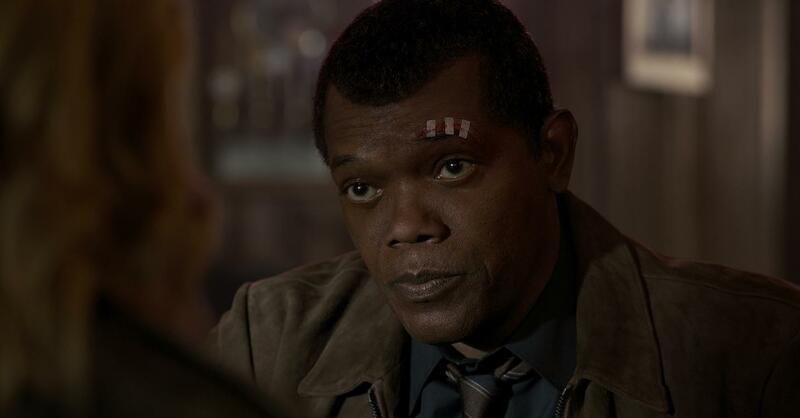 agent, Nick Fury (played by a digitally de-aged Samuel L. Jackson). Together they, along with former best friend and fellow air-force pilot, Maria Rambeau (played by Lashana Lynch) , and “Goose” the cat (secretly an alien creature) , Carol will have to recover her lost memories, discover the truth behind the Kree and Skrull war and unlock the full potential of her powers before it’s too late. The performances in this film are solid. Brie Larson gives subtle layers to a character that could have easily fallen flat (and certainly appeared flat in the trailers). Her dry humor and self-possessed personality are balanced with nuanced moments of vulnerability and internal struggle. Thanks to the direction and Larson’s talents, we were able to see who Carol is which is no small feat considering the dialogue and script are vague regarding those details. Samuel L. Jackson gives a consistent and enjoyable performance as a young Nick Fury, with less of the hardened edges that we’ve come to know from the later incarnation of the character. One of the standout performances of the film comes from Lashana Lynch as Maria Rambeau, who perfectly embodies a fiercely loyal, emotionally grounded friend and mother. Her role and the friendship with Brie Larson’s character provide the emotional center for the film and play a pivotal role in helping Carol discover who she is. From a structural standpoint, the film doesn’t break new ground. It hits the standard beats that one finds in most comic book movies. And despite the challenge of numerous flashback scenes that deal with Carol’s past, it never suffers from pacing issues. The film’s action scenes are well-shot, and the camera work is neither jarring or frantic. The fights are also fairly grounded considering the cosmic nature of the story and most of the heavy and flashy CGI fireworks are saved for the climactic final battle. Another positive trait is that it functions quite well as a self-contained, standalone film. It doesn’t suffer from one of the most prominent recent issues facing the “expanded universe” that Marvel has so intricately weaved, which is a lengthy 18-film backstory. Captain Marvel’s story takes place prior to the events of Iron Man and the Avenger’s franchise. As a result, it can be enjoyed from beginning to end without the standby aid of a Wikipedia search. What was perhaps most unexpected, was that this movie doesn’t rely on heavy-handed tropes like its detractors believed it would. It certainly empowers its female hero but adopts a more subtle approach in exploring feminist themes. Much like Wonder Woman, the story doesn’t focus on tearing men down but instead focuses on lifting its protagonist up. This is not a film that deals with how a woman can be a superhero, but instead details the birth of a hero who merely happens to be female. While it doesn’t possess the grand epic scale of many comic book movies, and the plot points are fairly generic, Captain Marvel delivers a solid superhero film. The protagonist is relatable and enjoyable, the story and pacing are cohesive, and the action scenes will satisfy followers of the franchise. All things considered, this movie earns a B+ rating. Christopher Henry is a critic and writer for The Blunt Post. Originally from Boston, Christopher has worked as an actor, singer and comic in New York City for over 10 years.